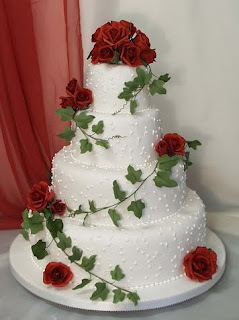 Gorgeous round and white 4 tier wedding cake pictures with red roses, some cakes have sugar roses and some contain fresh roses and petals, all cakes are exquisite! 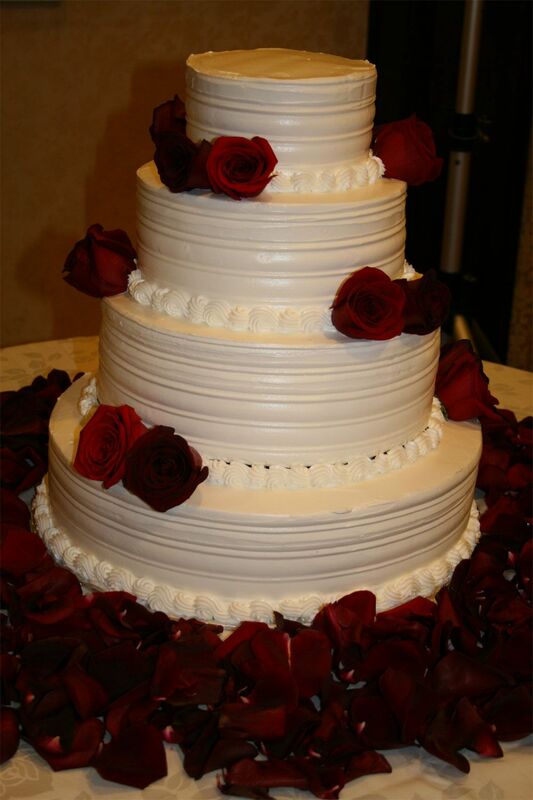 Large four tier round wedding cake covered in romantic fresh red rose petals. 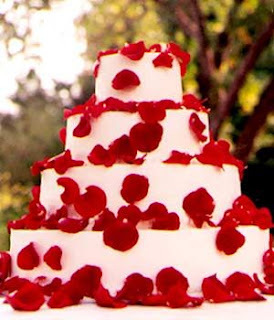 Blood red roses dispersed over four tiers. 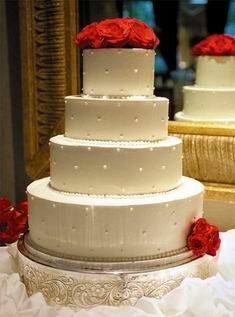 This wedding cake has some lovely edible pearls in the shape of a triangle made up of three pearls. 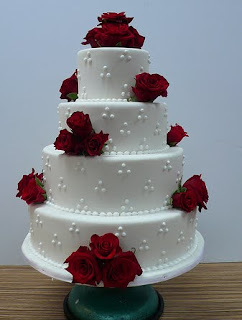 Gorgeous wedding cake with red roses and green foliage. Elegant round wedding cake with edible pearls and topped with red roses on the top tier with red roses for accents at the base of the cake. The cake tiers are textured with horizontal lines and red roses are added for emphasis.